At this time of year only south-facing slopes retain the frost, while the north-facing slopes have melted. Gullies are not the only active geologic process going on here. A small crater is visible at the bottom of the slope. 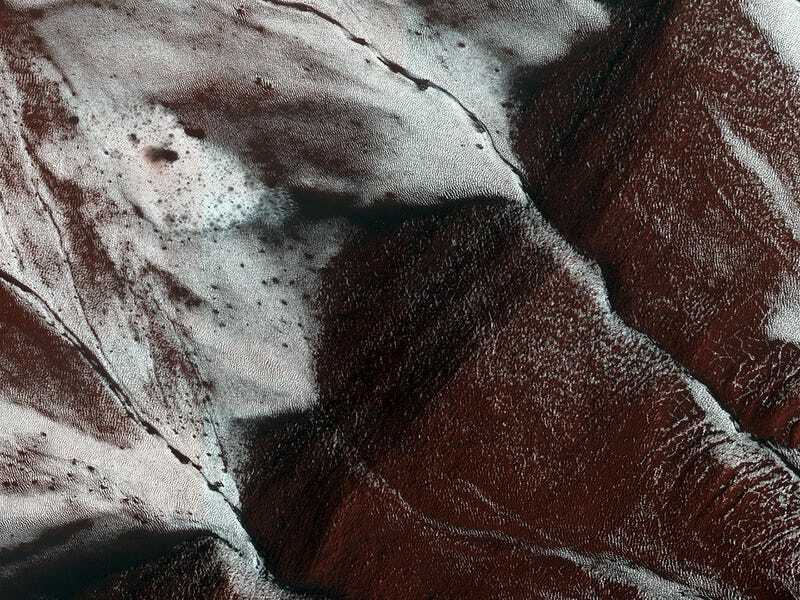 Learn more about HiRISE on the official website.